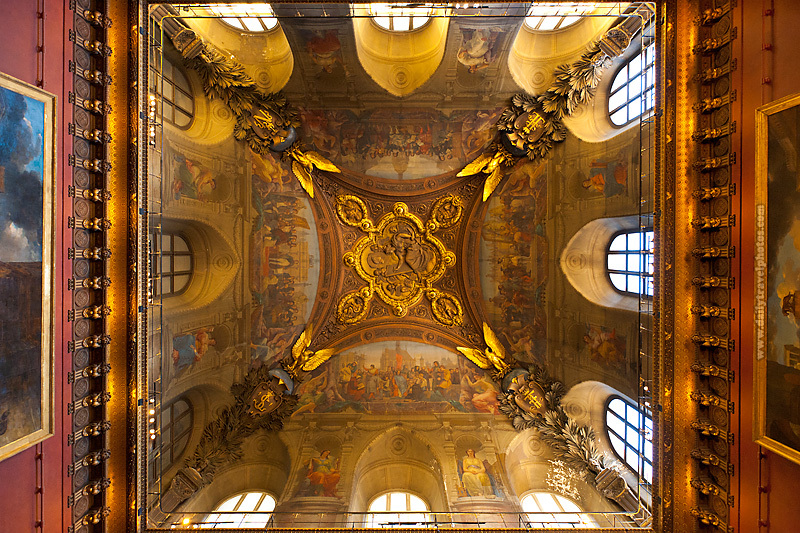 An ornately painted and decorated ceiling at the Louvre museum. The building that houses the Louvre museum is a work of art in and of itself. I present exhibit number 1 above. It appears most people hastily rush through the building to catch the "best of" collection. One can't go to the Louvre without seeing the the Mona Lisa and Venus de Milo, right? This being my second time at the Louvre, I had a slow and leisurely wander and took the entire experience in, including the beautiful ceilings and walls. If you find yourself at the Louvre, take a second and have a gander at the building itself. 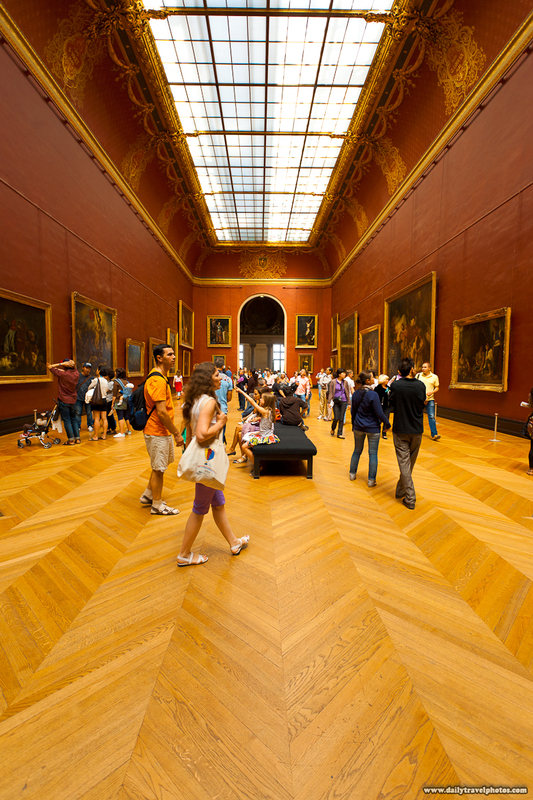 Priceless paintings hang on the wall of one of the more beautiful rooms of the Louvre museum. With high ceilings and rooms large enough to hold balls (of the dancing variety) the museum building is more reminiscent of a palace... which it once was. A preserved wing of the building was used by none other than Mr. Napoleon esq. back in his day. In case you're curious, his bed is strikingly small for such a powerful dude.